the after 30 part...: Mariah turns 40! 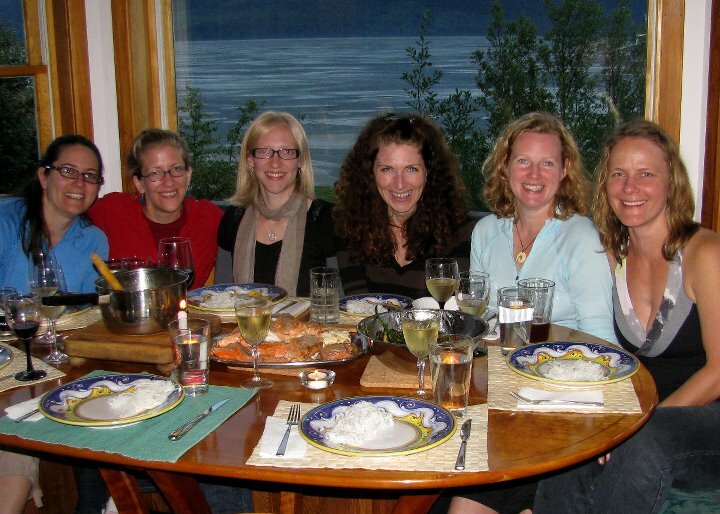 When Mariah told me that for her 40th birthday she was going to Haines, staying in a cabin by the water, celebrating by hot tubbing and dancing (not at the same time), with some of her most favorite people, I immediately hoped I was one of those favorite people. I was. 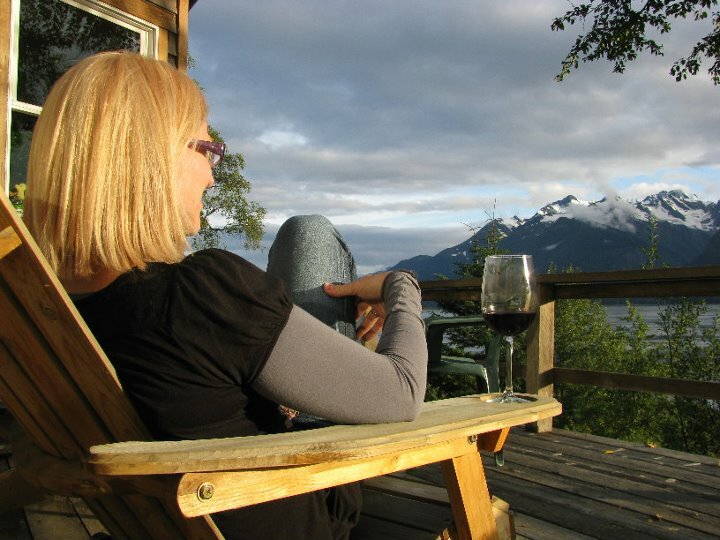 It was beautiful weather in Haines. First stop was the Haines brewery for some yummy beer and then to the cabin for a wonderful salmon/halibut dinner from our host, Tom. He also made a home made carrot cake! Mariah is such a hoot. She brought all these wonderful pretty dresses for everyone to wear out dancing. We danced at the Pioneer Bar to a local band called, Swing Set, and had such a great time! Have I mentioned how much I love dancing? Happy 40th Birthday Mariah!